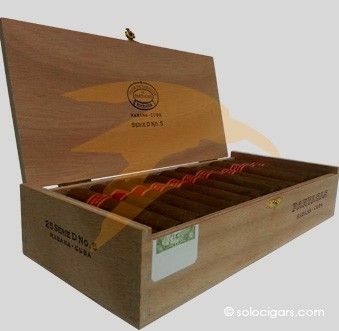 The amazing Partagas Serie D 5 enables its smokers to experience a powerful smoke within a small cigar. The exotic taste of the Partagas completely sinks in and the smoker can feel it spreading thoroughly as they inhale and exhale. The best feature of this cigar is the fact this the leaves, fillers, binders and wrappers have been specifically aged for two years which allows the Partagas Serie D 5 to have an incredible and strong taste to be enjoyed when individuals are in dire need to puff strong cigars. The most important thing is the draw as that is excellent.